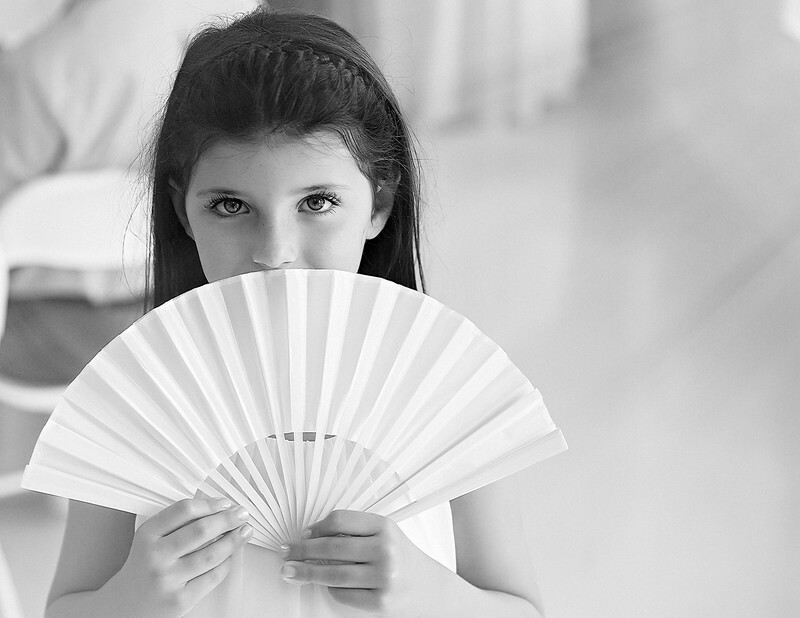 Black and white photograph of the flower girl in the wedding reception held in the hall of Fairview Christian Church in rural Hood Virginia, standing next to a window, holding a fan in front of her. Natural light streaming in through the window creates beautiful lighting for portrait setting at the reception. Keywords: Hall Allen Wedding (3).